Supply and erect scaffolding around chimney stack to comply with the health and safety at work regulations. 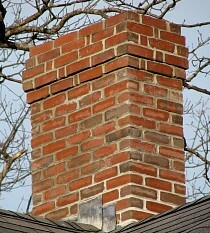 Take down chimney stack to below roof level. 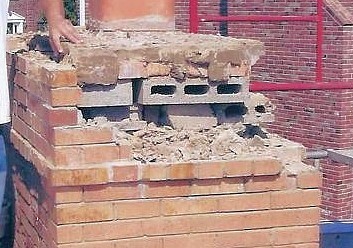 Rebuild chimney stack with new bricks to match existing to be bedded in cement mortar at a ratio of 3 to 1. All brickwork to be jointed. Supply and bed new chimney pots to top of stack and flaunch with same cement mortar. Clean out gutterings free from any debris.